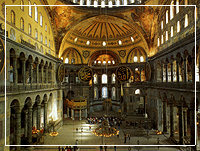 Introduction to the city's imperial history by driving around the Golden Horn and the great walls of Constantinople. Museum of Turkish and Islamic Arts: Former Palace of Ibrahim Pasha; today a museum in which you can see the old Turkish way of life. Hipodrome: The former center of sportive and political activities of Constantinople. 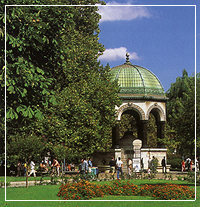 During the visit you'll be able to see the Obelisk from Egypt, Serpentine Column from Delphi, and fountain of Wilhelm II. 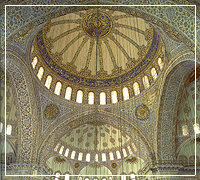 Note : St.Sophia is closed on Mondays. Replaced by the Chora Church.